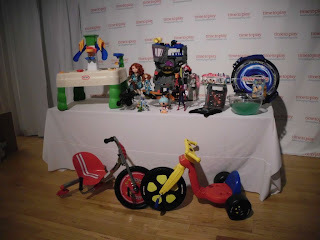 I had a wonderful time this week at A Time to Play Spring Showcase where new and outdoor toys for Spring and Summer were on display. I have plenty of material that I will be blogging about - and featuring givaways over the next few months. 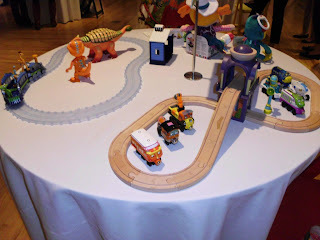 This post just features pictures of some of my favorites. I took all of these pictures - they aren't the professional ones provided by the companies. Big wheels riding toys are "in" again and two of them won best new Toy awards at the show. Remember these? Looked pretty familiar to me. 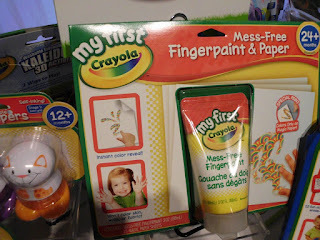 Here's an old idea with a very new twist - Mess free fingerpaints. How do they do that? It sounds like an oxymoron. You rub a clear fingerpaint of "Magical paper" and an image apears. Just like modern food that you put in the microwave and a hot meal appears. Blowing bubbles is still an old standard but it also has become a lot more fancy. 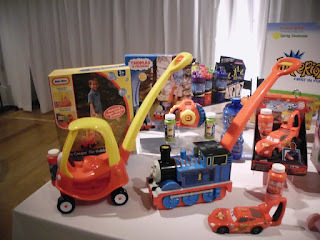 Does your grandchild like his Cozy Coupe or Thomas the train. He or she will be dazzled by seeing all the bubbles that come out of these. 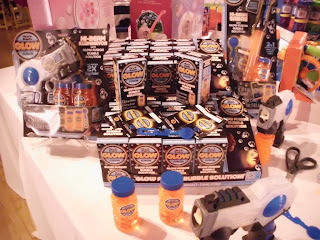 older kids enjoy blowing bubbles too - and here is something for them - bubbles that glow in the dark. Perfect for families who hang outside in the summer and watch the kids run around the yard. LEGOs has a new line called LEGO Friends that will appeal to girls. They are the same construction sets which encourage interest in building and architecture but they feature themes girls will like such as a beauty parlor and tree house. My grandson, Zach, likes Chuggington and Dinosaur train so of course these two items caught my attention. 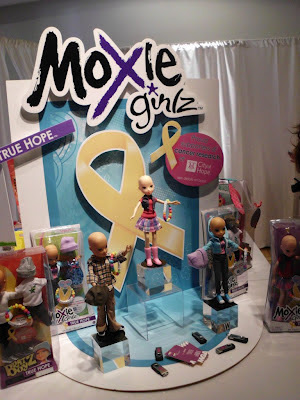 These bald Bratz and Moxie dolls by MGA were quite a hit at the show. 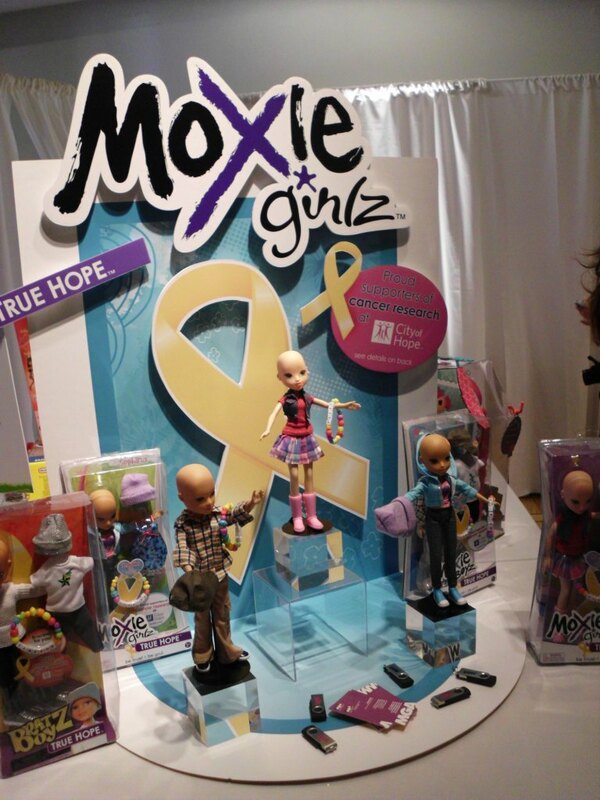 A $1 donation will be made to City of Hope to support cancer research for each doll sold. 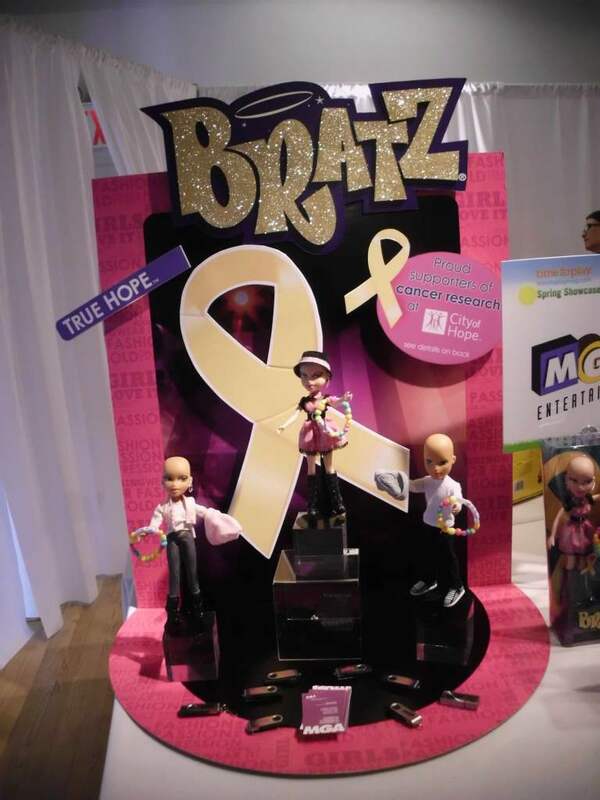 I think there will be quite a market for this doll. 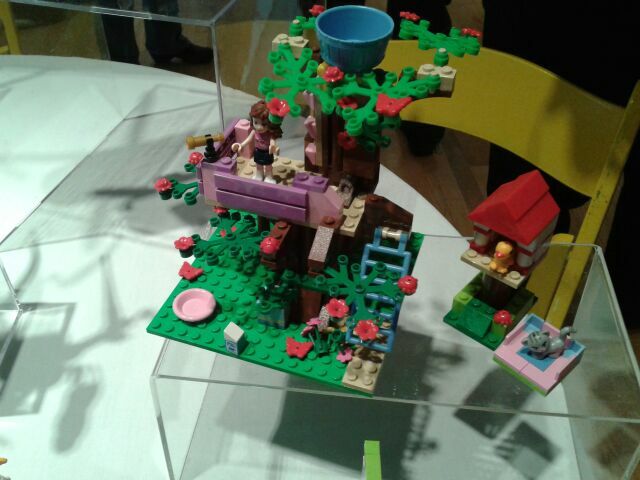 They will be available in June. Next Sunday, April 22 is Earth Day. Earth Day was new when my kids were in school and it wasn’t a big deal. I don’t remember any special lessons or events associated with it. But today, even in pre-school there will be Earth Day activities. All television programs for kids will have Earth Day themes. Your local museums, libraries and zoos will have special activities. Our local zoo, the Turtle Back Zoo will be having a “Party for the Planet” with Earth Day activities all day long. 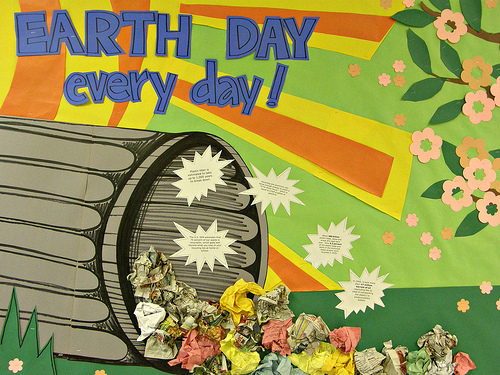 So why not be a grandparent who’s “with it” and plan your Earth Day activities now. Check out all the local events and plan to participate. Here are some books with characters that we (grandparents - that is) all remember and they are “with it” and have a book for Earth Day. This “I Can Read” book is an excellent Earth Day theme book for beginning readers. Kids who like the Fancy nancy books will enjoy learning about going green in Fancy nancy style and have a few laughs at the Fancy Nancy antics. The Little Critter books were favorites for me and my kids. My favorite was “Just Go to Bed” which chronicled the make believe play the critters enjoyed before going to bed and their dad finally having enough. This book features things young children can learn like turning out the lights and recycling. I’ve never met a Curious George book I didn’t like and this one qualifies for sure. George gets in trouble as usual and the man in the yellow hat comes to the rescue. Oh, there is a message but its hidden in the fun. Enjoy. My kids had this book and I’m glad to see that it is still in print. Ms. Frizzle – the name says it all – brings her class on science adventures which tickle the imagination and bring science to life for young children and older ones too. Enjoy all the Magic School Bus books. Joanna Cole is a genius. There seemed to be a Berenstain Bears book about every topic and my son wanted and had everyone of them. If he was in a bookstore he'd go straight for the revolving rack with the berenstain bear books and invariably he'd find one he didn't have. He didn't just want to have them all, he wanted to have all of them read at bedtime. This topic is a good one for Earth Day and its been in print since 1993 so it must be pretty good. All of these books are inexpensive and in paperback. Pick one up to share with a grandchild today. Enjoy you Earth Day!!!!! Please leave a comment and let us know what you have planned. The winner is....Lisa of Grandma Briefs blog fame. Be sure to check out Lisa's blog here. I had my own adventure trying to get a Trash Pack Egg for my grandson so I am reposting here the information to order at Amazon. First I went to Target. An associate told my daughter that it was hit or miss if they had any Trash Pack items. ToysRUs has a special on Trash Pack this week - buy one get one 50% off. 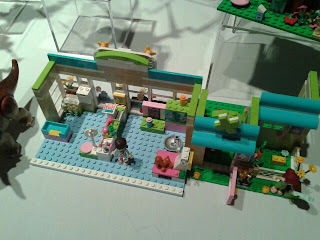 So off I went to ToysRUs. In the first long aisle they had one of those small displays in the middle aisle. They had five pack and twelve pack Trashies and small play sets hanging on the racks. On the bottom shelf there was a lonely Trash Can and Garbage Truck. No eggs - the week before Easter? They must be someplace else. Nearby was a manager with clipboard looking very in charge. I asked him if there were any more Trash Pack items somewhere else. He told me that I was lucky I came in today because what Trash Pack they did have just come in on a truck last night was right here and they had been out of them. No eggs. This was it. Since I wrote the last article Zach and I have a new game that we play with The Trash Pack. We each throw trashies in the Trash Can one at a time and see how many go in and how many don't - or go in and bounce out. 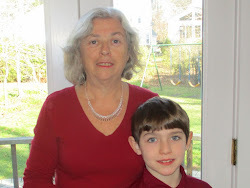 It's fun, and a good game for a grandparent to play with a grandchild. Enjoy. Trash Pack Giveaway - One of My Favorites!